Bob received his B.A. from the University of Western Ontario in 1939 and was called to the Bar in 1942. Not only was Bob one of the founding partners of Hicks Morley, he was also one of the first full-time practitioners of management labour law in Canada. His practice covered the spectrum of labour and employment law matters, and he was a Partner Emeritus in the firm. Bob was a President of the Toronto Board of Trade and was a Chairman of the Stratford Festival. Bob passed away in late 2013. Colin obtained his B.A. from the University of Toronto in 1949. He was admitted to the Bar in 1953 and practised management labour relations law since then. He had a particular expertise in collective bargaining and rights arbitrations. Colin was also a former Hospital Board Chair. He is now a Partner Emeritus in the firm. Fred graduated from the University of Toronto with a B.A.Sc. (Honours) in 1954 and subsequently attended law school at Osgoode Hall. He was admitted to the Bar in 1958. 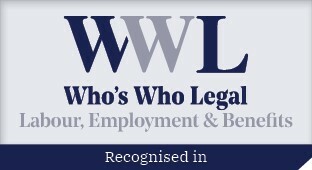 He has also been certified by the Law Society of Ontario as a Specialist in Labour Law and appointed a Queen’s Counsel. Fred served as Vice-President and President of the Toronto Board of Trade and President of the York Downs Golf and Country Club. He has served for many years on the Molson Indy Festival Foundation and its successor, Grand Prix Charitable Foundation. He is co-chair of the Bike for Tykes event raising funds for Coast To Coast Against Cancer. Fred is now a Partner Emeritus in the Firm. Bruce, a graduate of the University of Toronto, received his B.Comm. in 1957 and an LL.B. in 1960. Bruce was very involved in the education area and was a frequent speaker at conferences in both the education and police sectors. 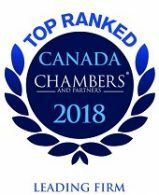 His practice primarily focused on collective bargaining in the public sector, school board law and interest arbitration, and also includes counsel work before various labour and employment-related tribunals. He is currently a member of the Board for the OMERS Sponsors Corporation which is responsible for the design of the OMERS Pension Plans and determining the contribution rates for the 200,000+ members of these plans. Bruce is now a Partner Emeritus in the firm. Tom graduated with his B.A. from McGill University in 1955 and his LL.B. from the University of Toronto in 1961. He was called to the Bar in 1964 and practised labour relations law from that point forward. He was a very experienced negotiator, with extensive experience in the hospital field. He also regularly acted as counsel or nominee in arbitration cases. Tom became a Partner Emeritus in the firm in 1997. Tom passed away in late 2002. Christopher retired from the partnership in 2013 after 44 distinguished years of practice. He established his reputation as one of the country’s leading labour, employment and administrative lawyers and was universally respected by his colleagues, the judiciary and opposing counsel. He was also a mentor to many lawyers at the firm, and in the broader legal community. Christopher was a Partner Emeritus in the firm, and received numerous professional distinctions. He was named a Fellow of the American College of Trial Lawyers and in 2013, he was a recipient of an honorary Doctor of Laws (honoris causa) degree from the University of Guelph. Christopher was Hicks Morley’s Managing Partner from 1994 to 2002. Through his strong leadership, he was able to cement our reputation as the leading human resources law and advocacy firm in Canada. Christopher passed away in January, 2016. Harvey was called to the Bar in 1969 and is a founding member of the firm. He retired from the partnership in January, 2016, and is now a Partner Emeritus in the firm. 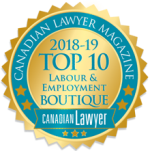 For many years, Harvey was regularly recognized as one of the leading labour and employment lawyers in Canada, in both domestic and international publications. Harvey is known for his extensive experience as a chief negotiator, principal strategist, and primary human resource and labour relations advisor. He is also recognized as a leader in designing and introducing conflict resolution systems and processes for promoting workplace engagement. He has served the Corporation of Roy Thomson Hall and Massey Hall for over 20 years as a member of the Board of Governors and as a member of the Program Planning Committee.